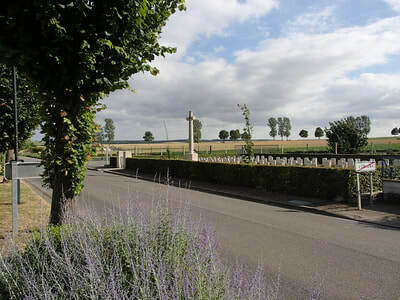 From Corbie take the D1 in the direction of Fouilloy-Amiens (A1 Paris) heading south. Leave the village of Corbie and travel through the village of Fouilloy, still on the D1 in the direction of Daours-Amiens A16. Leave Fouilloy and turn right 0.6 kilometres after leaving Fouilly in the direction of Aubigny, where the first CWGC signpost will be seen. The Cemetery is situated at the entrance of the village of Aubigny on the left hand side of the road. 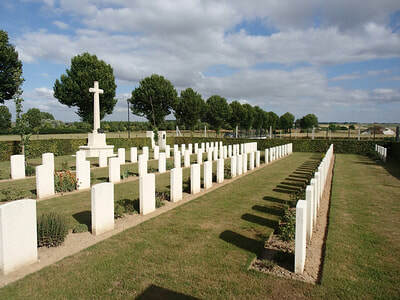 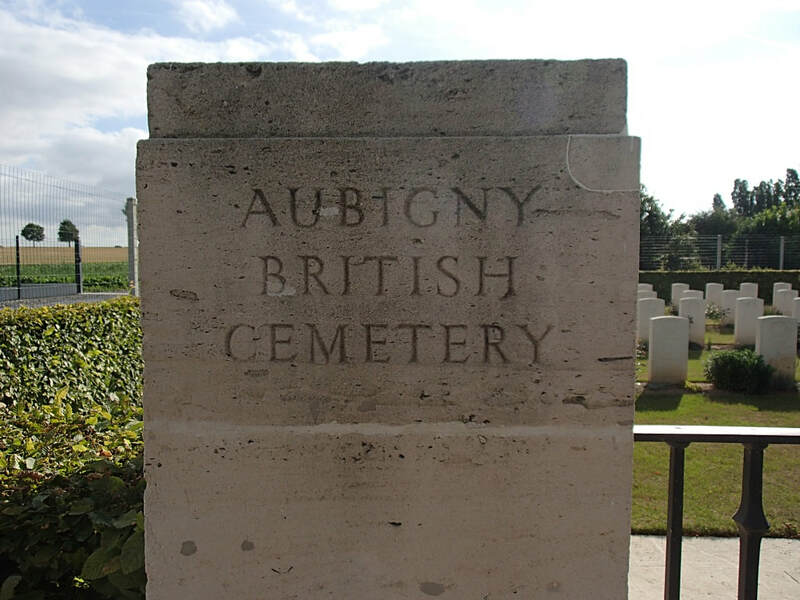 Aubigny British Cemetery was made by Australian units, mainly of the 54th-57th Battalions, in April-August 1918. 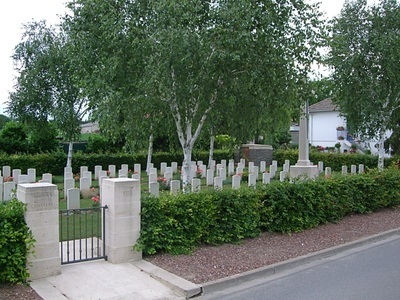 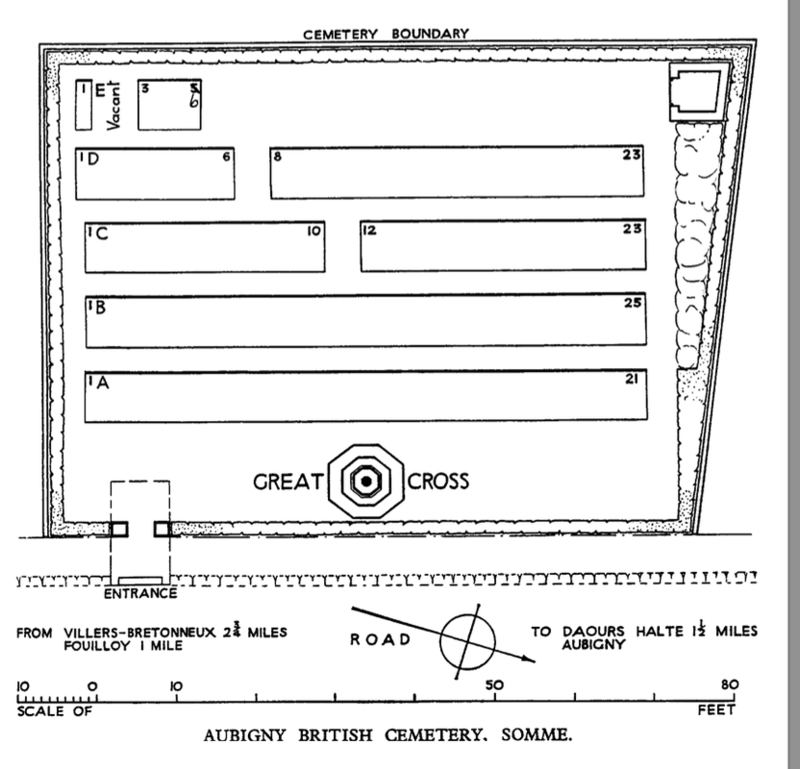 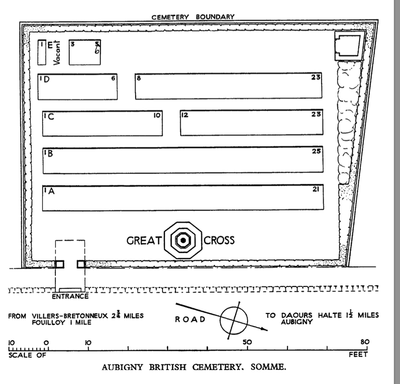 The cemetery contains 95 First World War burials, one of which is unidentified. 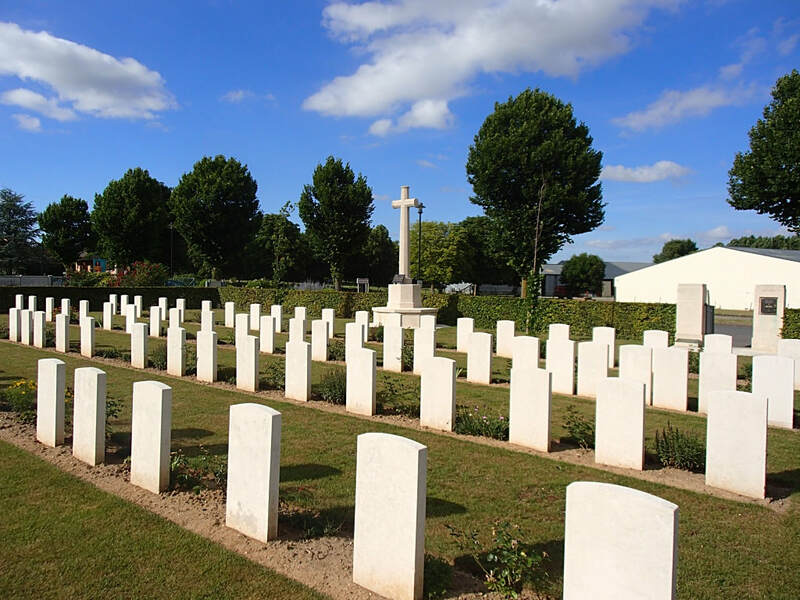 Casualty Details: UK 7, Australia 88, Total Burials: 95. 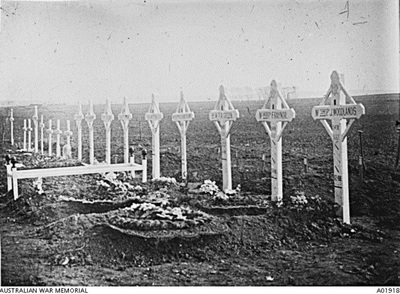 Son of Patrick and Mary Cosgrave, of "Kenilworth," Boronia St., Kensington, Sydney, New South Wales. 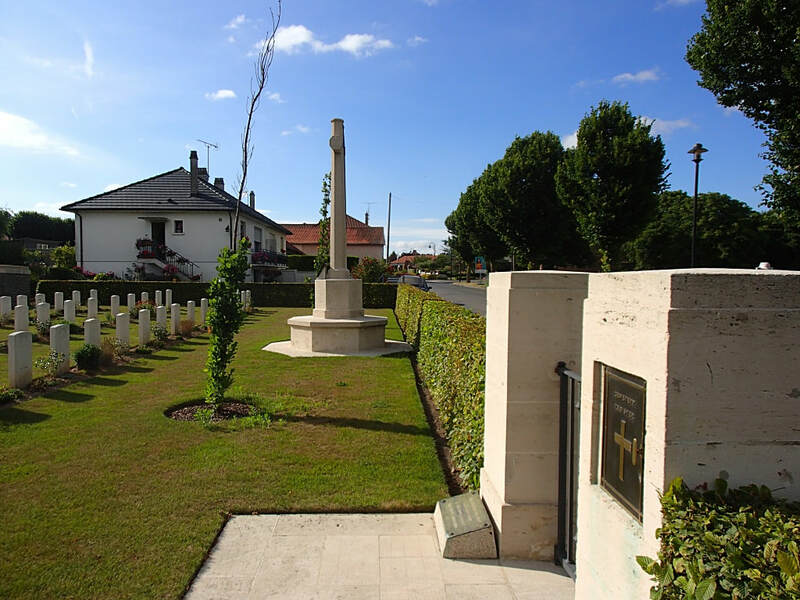 A shop assistant from Kensington, NSW, Sgt Cosgrave was also an accomplished musician when he embarked with the rank of Private with the 6th Reinforcements, 17th Battalion from Sydney on HMAT Euripides on 2 November 1915. Later transferring to the 55th Battalion, he was promoted to Sergeant and, on 17 April 1918, aged 23, he was killed in action near Villers-Bretonneux and was buried in the Aubigny British Cemetery, France. 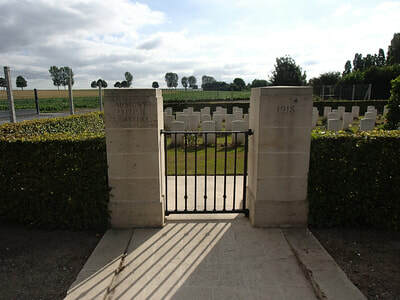 His brother, 13867 Private Phillip Cameron Cosgrave served with the 14th Australian Field Ambulance and returned to Australia on 31 July 1918. 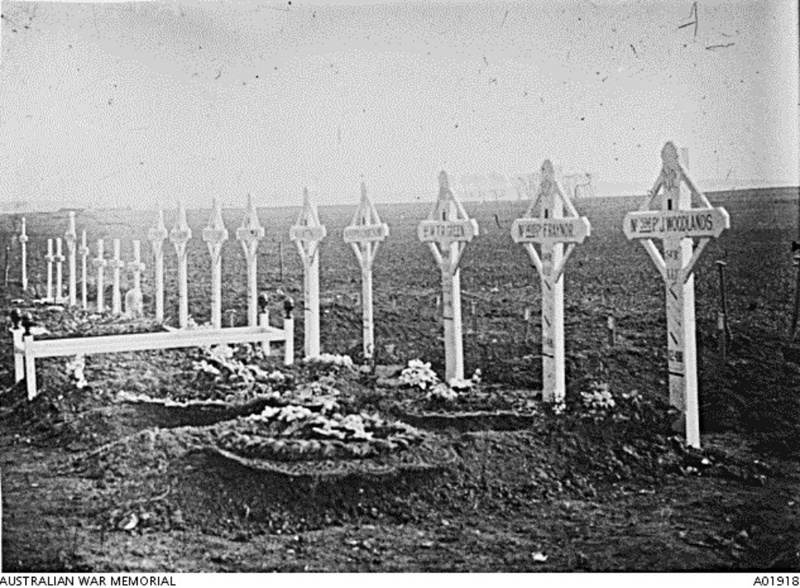 A plumber prior to enlisting, he embarked from Sydney aboard HMAT Beltana (A72) on 9 November 1915. He was killed in action in the Proyart area, on 8 August 1918 during the third battle of the Somme, France, aged 28.